Server cabinets usually contain high quality equipment and sensitive data. When a trespasser obtains access to a server rack, the damage often grows quickly and boundlessly: Theft or sabotage can have severe consequences such as financial losses, loss of data or violation of data privacy. As is generally known, it is better to be safe than sorry – set up safety precautions now in order to avoid damages before they occur. With the Kentix DoorLock® you will set up a complete online access system in the twinkling of an eye. Virtually all doors in the server room, office or industrial site can be integrated into the system. Specifically for the protection of cabinet doors, the Radio Door Knob with half cylinder or the Radio Cabinet Lock are suitable. The locks can easily be upgraded without great mounting efforts, which spares your nerves as well as your budget. Useful fact: The Kentix online access integrates smoothly into existing networks as well as into the remaining Kentix portfolio. Enjoy the feeling of safety, knowing your server racks are all around secured against theft and sabotage! And if you do worry after all, the Kentix360 Cloud gives you full access to the system at any time and from anywhere. You can even remote control it if necessary. 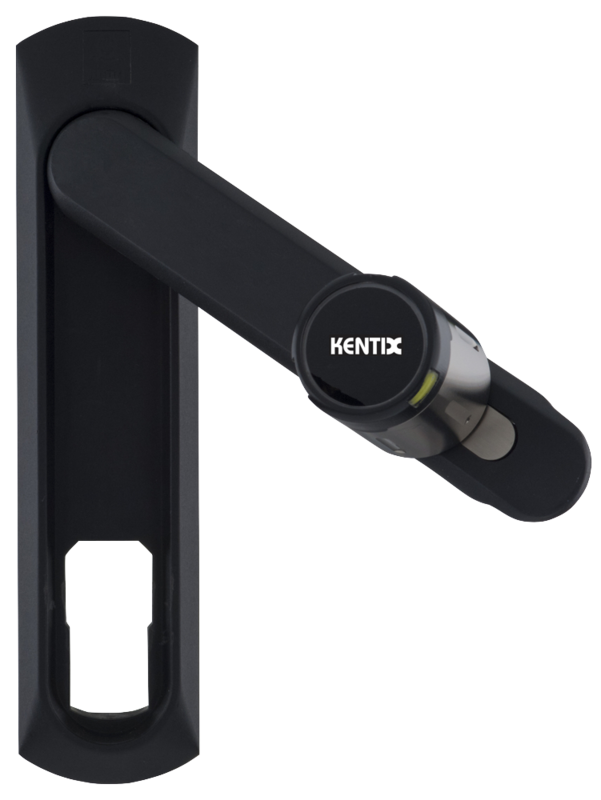 The Kentix DoorLock version featuring a half cylinder with a return spring is suitable especially for the protection of cabinet doors such as IT racks or lockers. 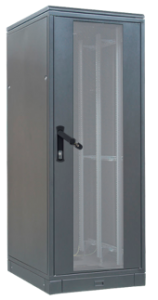 The half cylinder is compact in size and can be installed in virtually all server cabinets available on the market that have a half cylinder preliminarily set up. Due to its beveled closing catch, the half cylinder can for example be used on pivoting levers. Another variant is the Radio Cabinet Lock with RFID and long-lasting battery. 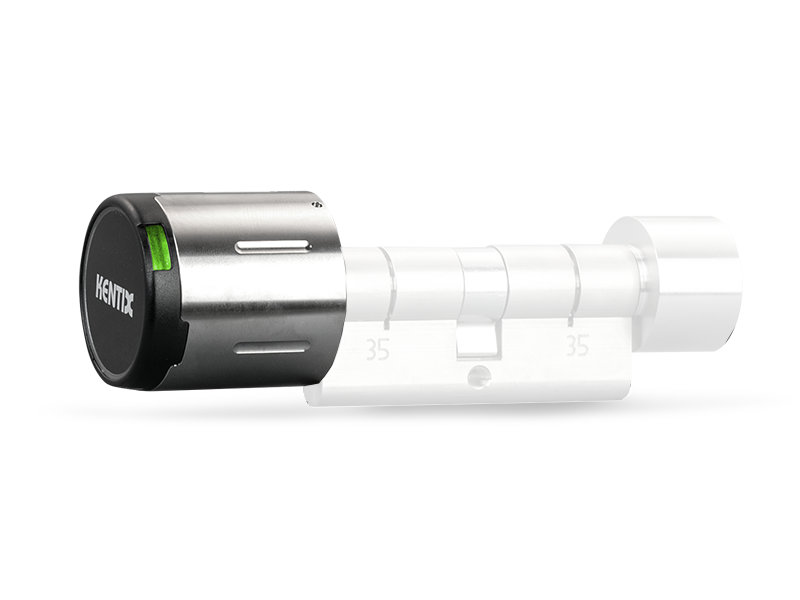 With this, Kentix offers a simple locking solution to equip IT racks and distribution cabinets. The battery operation reduces the installation to a minimum. The battery is mechanically secured against removal (special tool). The lock is supplied with various adapters and locking levers and can therefore be adapted to almost any IT cabinet. In combination with the Kentix AccessManager, more than 15000 rack doors can be interconnected. This way, you can protect your server room and your IT racks with only one system against unauthorized access, whether it is a matter of a few single cabinet doors or a whole data center. Unauthorized access to server racks can quickly cost an arm and a leg when burglary or sabotage lead to loss of high quality equipment or sensitive data. 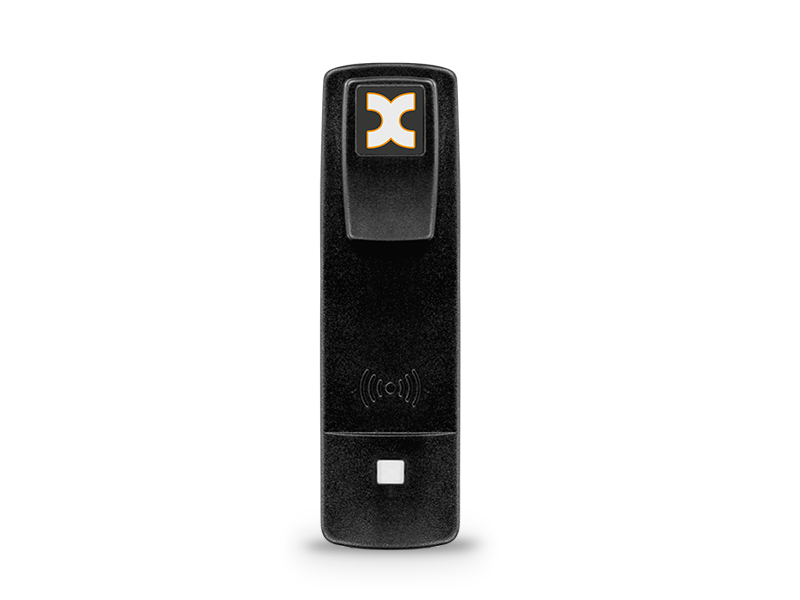 Secure your IT and distribution cabinets against unauthorized access with the Wireless Cabinet Lock from Kentix. Several IT racks can be connected via radio and therefore be centrally controlled. The door can be opened with RFID mediums or via remote control if necessary. The Wireless Cabinet Lock is compatible with merely all standard cabinet doors. 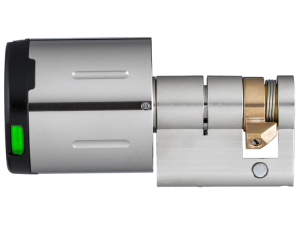 In its version with a half cylinder, the Kentix DoorLock is suitable for virtually any server cabinet door that has a half cylinder preliminarily installed. The existing cylinder can easily be replaced with the half cylinder at no great mounting efforts. The door can then be unlocked with RFID mediums via the corresponding Radio Door Knob. Since the cylinder lock works both online and offline, a secure authentication is guaranteed at all times. The Wireless Door Knob with an integrated RFID card reader (MIFARE® DESFire®) is connected to the half cylinder in order to enable the unlocking of the door with RFID mediums. It connects via radio (868MHz) and therefore, it can easily be controlled online. Several doors – whether cabinet, office or technical operation rooms – can be connected to one centrally controlled system this way which greatly reduces the amount of work. When operated offline, stand-alone use is possible. What’s extraordinary about the Kentix online access system is the simple networking and integration. 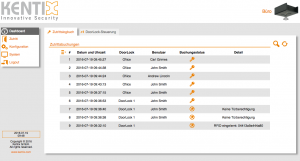 The AccessManager smoothly integrate into almost any IT environment. If there is more than one AccessManager, one of them will take over the central administration. The granting of access profiles is therefore extremely easy even in larger systems. In case of a network failure an AccessManager decides independently about the access authorization. Even if the connection between online door cylinder and the AccessManager should be disturbed, the cylinders decide internally about up to 1.000 permissions. The access software inside the AccessManager contains everything that is required in a professional access control system: Extensive logbook for entries, time-door profiles, sabotage monitoring of the cylinders, reporting about special system events via email / SNMP, and lots more. Especially in critical areas such as the healthcare sector, there are many regulatory requirements for the security of IT infrastructures and data protection in effect. Particularly patient data needs to be reliably secured at all times. Unauthorized access to critical areas can quickly lead to high and sometimes irrevocable damage. That is why appropriate safety measures are important which will, at best, prevent any disturbance before it even happens and alarm the responsible persons in case of an emergency. 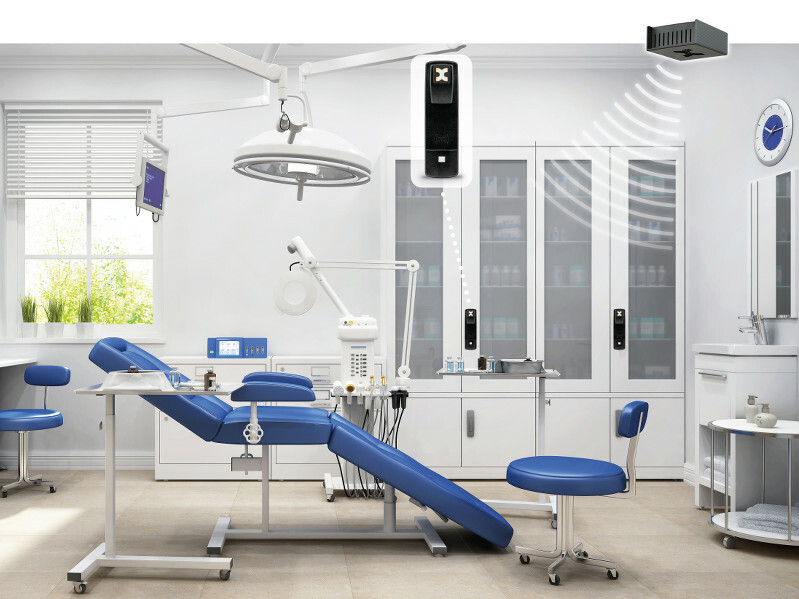 A smart access control system such as the Kentix DoorLock® offers protection against burglary, sabotage and non authorized access not only to laboratories and practices, but to medicine cabinets, supply and distribution cabinets as well – all with just one system.